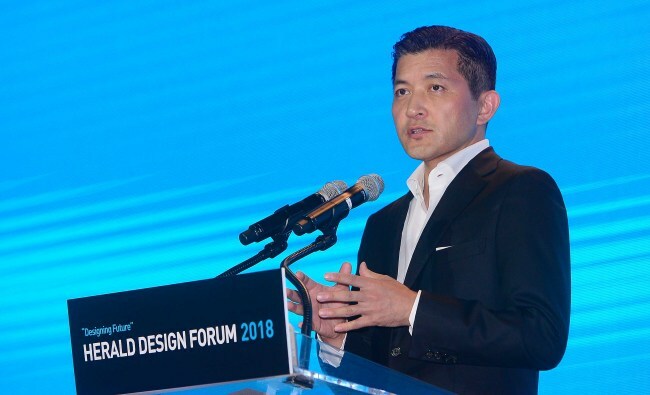 “The forum started in 2011 with our belief that design can change the world,” said Herald Corp. Chairman Jungwook Hong in his opening speech at Dongdaemun Design Plaza in Seoul on Friday. Herald Design Forum 2018 came to a close Saturday, sharing the world’s most daring, innovative ideas in design and inspiring participants with state-of-the-art elucidation and imagination, just as it has done over the past seven years. Under the theme “Designing Futures,” Asia’s leading design conference brought together 15 international pioneers who spoke about how design has been changing the modus operandi and boundaries of their fields in art, architecture, fashion, industrial design, curation, critique, engineering and city planning, among other sectors. “A difference can be made with 1 percent of inspiration and 99 percent of action,” he added, urging design experts and devotees to move beyond simply imagining to help refine a world perennially reconfigured by technology. 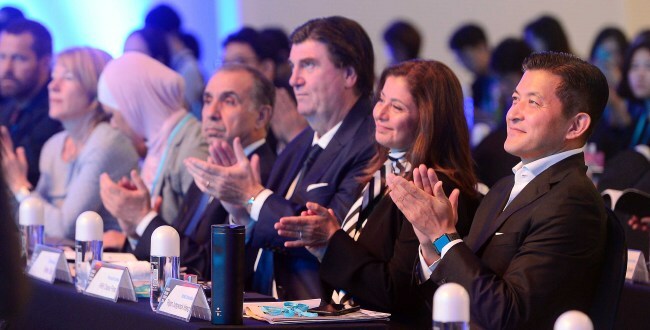 Some 500 design enthusiasts took part in the opening ceremony, including experts, scholars, students, journalists and government officials. 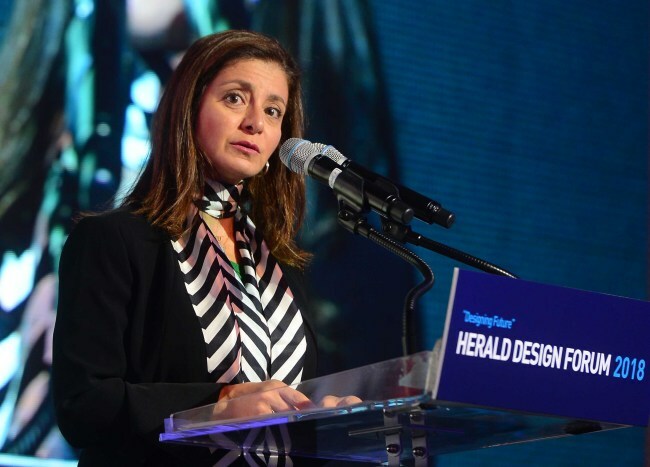 “We witness how our cultural heritage influences one another as well as other sectors from business to aesthetics,” said Princess Dana Firas of Jordan, a UNESCO Goodwill ambassador and chair of the National Petra Trust. She noted a treasure trove of global cultural heritages can serve as a wellspring for design inspirations and particularly boost the rapidly growing tourism industry. The onslaught of technological advances pose challenges to designers, he explicated, whose tasks have become central to making things easy to operate while at the same time integrating an ever more expansive breadth of innovations. Also speaking Friday were Italian furniture designer Martino Gamper, British designer Thomas Heatherwick, Japanese designer Junji Tanigawa, Hyundai Motor’s Artlab director Lee Dae-hyung, as well as Shin Myong-sup and Byun Sa-bum from design agency Plus X.
Saturday’s roster featured opinion leaders in art critique and curation as well as architecture. 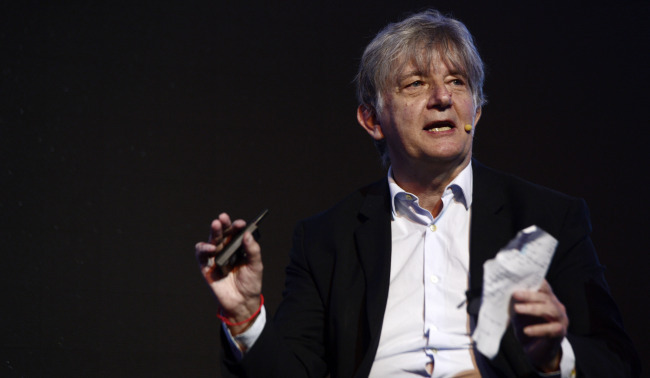 Bartomeu Mari, director of Korea’s National Museum of Modern and Contemporary Art, opined that fine arts will progressively cross over into design and architecture, breaking the sense of sacred importance hitherto attached to them. “In the future, museums will become places where people actually do things. There will be more physical interactions. The museum audience will no longer remain passive agents who come and see the objects in the gallery space,” he explained. Martha Thorne, executive director of the Pritzker Architecture Prize, and Park Jin-hee, a Korean architect and CEO of architecture firm SsD, shared with the audience their experiences of creating works that offer comfort and functionality while still being environmentally sustainable. Korean installation artist Choi Jeong-hwa revealed the process of using plastics as a main medium for contriving his public artworks.